The greatest flaw of Mitchell Cohen’s “What Lenin’s Critics Got Right” in the most recent Dissent is that it repeats what Lars T. Lih, independent researcher and author of Lenin Rediscovered: “What Is To Be Done” In Context (Haymarket, 2008) and a biography of Lenin (Reaktion Books, 2011), calls the “standard textbook interpretation” of Lenin’s thought and, by extension, Bolshevism as a movement. Cohen reprises the usual claim that through the publication of What Is To Be Done? (hereafter WITBD? ) in 1902 and the 1904 split in the Russian Social-Democratic Labor Party (RDSLP), Lenin and his “Bolsheviks” (the 1904 majority faction) created a “party of a new type” — a despotically centralized “vanguard” party of “professional revolutionaries” (supposedly ex-student intellectuals, not “real workers”) dominated by an all-powerful central committee. I’m afraid that Cohen just isn’t up on the latest research on Lenin and Bolshevism; for that matter he doesn’t consult older sources that might contradict, say, Orlando Figes. At least since Marcel Liebman’s Leninism Under Lenin (1975), it’s been evident that the 1904 Bolshevik-Menshevik split did not create two separate parties, only public factions of the RSDLP; hence, the authoritarian “vanguard party” allegedly outlined in WITBD didn’t, and in fact couldn’t, exist in real life before White Terror and the Russian Civil War led to what would best be called “panic” on the part of Bolshevik leadership. In Lenin Rediscovered , Lih offers the first logical explanation for the “peculiarity” of WITBD? : it is the victim of mistranslation of key Russian terms. All that Lenin was actually arguing for, Lih clarifies, was a Marxist working-class party modeled after the German Social Democratic Party (SPD). Lih calls Lenin’s political orientation “Erfurtian,” after the Erfurt Program adopted by the SPD in 1891. 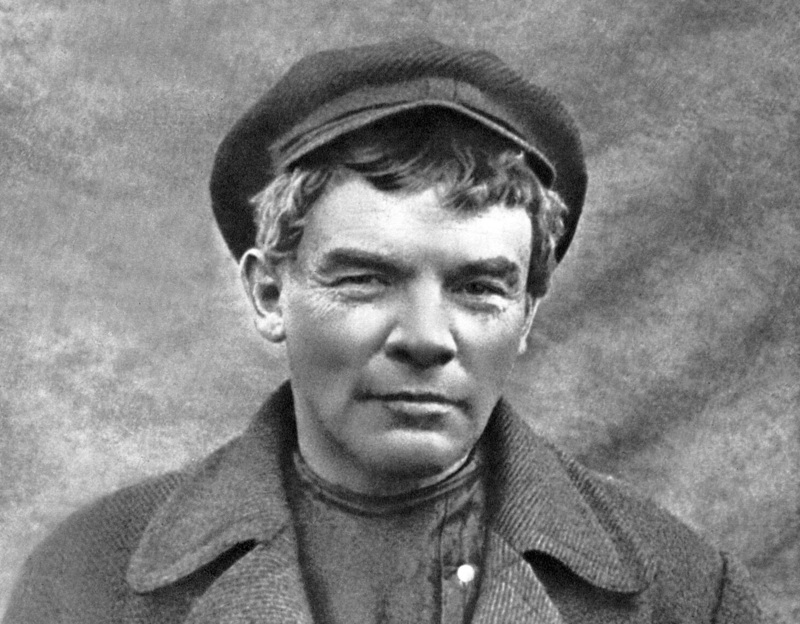 Lenin may have used the phrase “vanguard party,” but as Lih explains, this term merely described “the common understanding of what Social Democracy was all about. . . . WITBD did not advocate hyper-centralism or an elite, conspiratorial party restricted to professional revolutionaries from the intelligentsia. The positions advanced in WITBD were not the cause of the [RSDLP] split in 1904. The centrality of political freedom[emphasis added] in Lenin’s platform makes it impossible to draw a direct link between WITBD and Stalinism,” as Cohen does. As for “spontaneity,” the original Russian term is stikhiinost. Lih explains that stikhiinost refers to elemental forces: “stikhiinost connotes the self’s lack of control over the world, while spontaneity connotes the world’s lack of control over the self.” Russian Marxists used stikhiinyi and stikhiinost prior to WITBD? in two ways: negatively, in reference to “elemental,” purposeless eruptions of mass anger which didn’t represent working-class self-organization; and positively, in reference to the rise of the “worker masses that are straining at the bit . . . toward socialism and political struggle.” Lenin was actually arguing for the notion that Social Democrats must catch up with those workers whose “spontaneous” struggle was progressing briskly and might leave the RSDLP behind. What about the “democratic centralist” party, which — even before the Civil War— supposedly involved quasi-military discipline, gave extraordinary powers to its central committee, and — if it allowed internal dissent at all — didn’t allow dissidents to express their views publicly? At this point Rosa Luxemburg’s criticism of Lenin’s “ultra-centralism” is usually quoted (Cohen cites the Luxemburg of 1918, not 1904, but his aim is the same). Apparently Cohen doesn’t know that the Mensheviks were the first Russian socialists to invoke “democratic centralism.” Lenin merely adopted the idea for the Bolsheviks. Before the Second Congress of the Comintern in 1920, when it was redefined, for both RSDLP factions “democratic centralism” merely meant that democratically elected party congresses had the power to make binding decisions on all party committees and members. This isn’t authoritarian. The evidence is clear: for most of his life, Lenin was merely an “Erfurtian,” a “Kautskyist,” no more authoritarian than Karl Kautsky himself (Lenin would never have called Kautsky a “renegade” from Marxism had he not loved Kautsky’s writings for so long). He was not an original political theorist. I won’t justify every action the Bolsheviks took during the Civil War. And of course the October Revolution was a gamble on Western European proletarian revolution. That failed. But Martov’s alternative — a Menshevik–Socialist Revolutionary government based on the Constituent Assembly — was impossible. The actual alternative was either many policies the Bolsheviks implemented, including coercion of the peasantry to provide food, Red Terror (partly designed to control and restrain terror “from below” by peasants), etc., or the rule of White generals and White Terror. The main “tragedy” isn’t the Bolsheviks’ actions; it’s the ad hoc justifications of these actions as norms in Comintern resolutions, adopted by “Leninist” organizations. Those, of course, must be thoroughly rejected if we’re to have a democratic radical left. Cohen will surely disagree, but Lenin was simply never a sufficiently innovative theorist to merit his own “ism.” But for those of us who are sure that humanity’s ultimate choice really is socialism or barbarism, and that if the global working class (now larger than ever before) doesn’t take political power we are condemned to continued economic and ecological crises, studying the history of Bolshevism — for both negative and positive lessons — is a must.